Hello everyone. 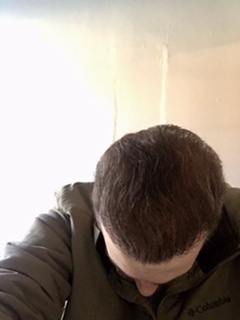 After researching and perusing the hair transplant forums for many years, I have decided to share my life saving experience with all of you, for many of you have given me support through your threads, and pointed me in the right direction for my latest procedure. My hair loss journey began at the age of 17. As all of you know who have experienced hair loss at various stages of your life, regardless of what age it happens, it is a traumatic experience. However, for me, incurring hair loss right before my first year of college was debilitating for me psychologically. I was a very good student and athlete in high school. Hair was never something I worried about, and that translated positively into my school years, and throughout the beginning of my adolescence when I started being interested in girls. When my recession began at 17 I was in denial about it. By the time I hit 18, my hair loss was visible. My recession was pronounced. In a state of panic, I had a strip (FUSS) surgery in September of 2004 at the age of 19. It was a small procedure of 1500-1600 grafts at a clinic in Newport Beach. The surgery was not successful in producing both yield and density. I spent the next 3.5 years watching my hair gradually shrink and regress. I was on propecia for 3 months at the age of 20, but many side effects were unfortunately induced. I ceased using it. After spending the next 3.5 years reading various forums, which were nascent at the time, I concluded that there was a clinic that could “save” me. This clinic is very well known, and markets very heavily. At the time they were the first to offer large FUE sessions. I booked a 4000 FUE session with them. Long story short, the procedure was not a successful one. Unhappy with my result, I had two repair procedures with them within the next 4 years. At the age of 26, and after 4 procedures, I was left with a taxed donor supply, and an unsatisfactory result. I spent the next 5 years literally being depressed, victimizing myself over my failed procedures. I thought there was something systematically wrong with me, and that I was just not responding well to the surgeries. However, at the age of 27 I ran across Dr. Umar’s website, and his reviews. I was literally blown away, and overtaken with a new found optimism. I never knew about body hair transplantation until I read about Dr. Umar. I certainly have a dense beard, and body hair throughout. These variables combined with the fact that my donor supply was not completely taxed really left me intrigued. However, I still had a large amount of trepidation due to past failures and experiences. I wanted to make sure my next procedure, which was literally my “last shot”, was going to be one with an incredibly esteemed and reputable doctor that can not only utilize my head donor, but my beard and body hair donor as well, for I had become a NW6. My consultation with Dr.Umar was in January of 2015, and right from the get go Doctor Umar was different. He thoroughly analyzed and assessed both my hair loss, as well as my head, beard, and body donor. He deemed me to be a great candidate for 6500 grafts. One year after my consultation with Dr. Umar, I took the plunge and booked my procedure. However, what really stood out in my consultation was the fact that there was no sales pitch, no high pressure tactics to get me in to “the chair” like in various clinics. Dr. Umar did not even bring up the cost until I asked him about it. After a long time contemplating, I scheduled my 6500 graft procedure for 1/25/16. I was very excited, yet so nervous based on my past procedures. I came to find out that Dr. Umar only conducts surgery on one patient per day unlike other clinics, where everything and everyone is monetized. He prioritizes quality over quantity. Being that I had procedures with 2 different doctors, as soon as my procedure began I noticed a world of difference. Dr. Umar’s concern for me, and his kindness towards the anxiousness I was experiencing reflected in how he administered the anesthesia, and how meticulously he extracted each graft from my head, beard, and chest. Unlike in other clinics, the administering of my anesthesia was significantly less painful due to the instruments Dr. Umar was using to offset potential discomfort. Throughout the whole process he was explaining to me why he was doing what he was doing. His staff were a reflection of his professionalism and benevolence, always attending to whatever I needed or was feeling. My procedure lasted for 5 consecutive days (Monday-Friday). Unlike my past doctors who promised an extravagant number of grafts in one single day, Doctor Umar told me that it is not advisable to extract more than 1500 FUE grafts on a daily basis due to the risk of compromising the procedure and the life span of the grafts before transplantation. Upon completion of the procedure, and viewing my graft placement, I knew I was going to have an excellent result. Attached you will find some photos of me before/the day of the procedure. You will see how low my yield and density were from my previous 4 procedures. You can compare those photos to some 12 month updated pictures I have taken. I will continue to post updated photos all the way up to the 18 month mark because I continue to notice thickening and maturation to this day, especially in the crown region. Please feel free to comment on my photos, as well as to message me directly if any of you have any questions. 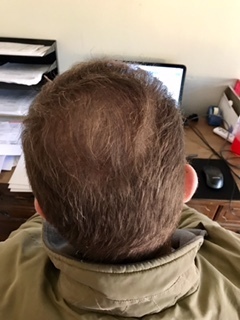 I know how daunting hair loss is, especially when it comes to find a reputable surgeon that will provide you with the result you are looking for. I am here to help anyone I can, for I do not wish upon anyone the prior experiences I have had.